Geology is everywhere. You can't escape it. No matter where you go it is under you and all around you. Some of the joy in my life is learning as much as I can while I can. I'm always looking for new places, or trying to see familiar places in a new way. So it was that we set out last July to explore a strip of land between California and Colorado that turned out to lie pretty close to the 39th parallel of latitude (although we didn't constrain ourselves to it). My blogs on the journey turned out to be a six month project with more than thirty posts. I've gathered them all here so I can add a new blerie (blog series) to my sidebar, along with the Other California, Time Beyond Imagining (the Colorado Plateau), a Convergence of Wonders (the Pacific Northwest and Northern Rocky Mountains), Underneath the Volcano (Yosemite), and the Airliner Chronicles (a little bit of everywhere). Setting out on the Road: An overview of the trip, and a definition of a vagabond ( an itinerant wanderer, basically). Crossing the Sierra Nevada: We set out one afternoon to cross the Sierra Nevada by way of Yosemite National Park and Tioga Pass. Along the way we checked out Tenaya Lake and Tuolumne Meadows. Mono Lake, the Barren, Worthless Wasteland: A barren salty lake that is hardly barren at all; it helps keep millions of birds healthy on their seasonal migrations. A discussion of what is really important when it comes to desert landscapes. Crossing the "Real" Loneliest Highway: Highway 50 gets a lot of attention as the "loneliest" highway with villages every 80 miles or so. But follow Highway 6 from Benton, California to Ely, Nevada, and you will see but a single town in 250 miles. 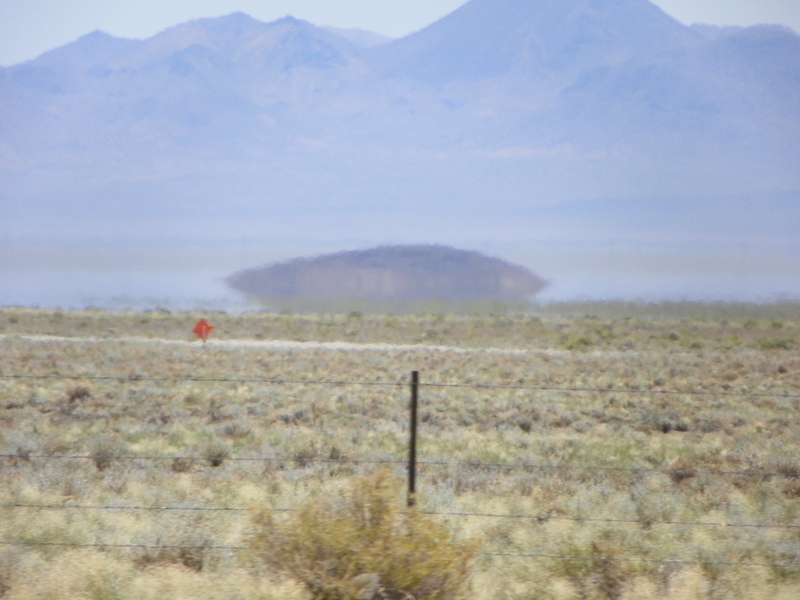 Aliens, Area 51 and UFOs! Desert mirages play games with our imagination along a very lonely highway. A Trip to the Moon, and a Trip to the Mantle (well, sort of...): Off of Highway 6, we explored the strange Lunar Crater Volcanic Field, finding cinder cones, maars, and fragments of the Earth's mantle. A Park without its Namesake, and an "Oh, s**t" moment in Science: Great Basin National Park doesn't have a basin in it. But it does have a great many other things worthy of our time, including a famous bad moment in scientific research. We Reach the Wasatch Front, Finding Geologic and Archaeological Violence: The Wasatch Front is the junction of the Basin and Range, the Rocky Mountains, and the Colorado Plateau. 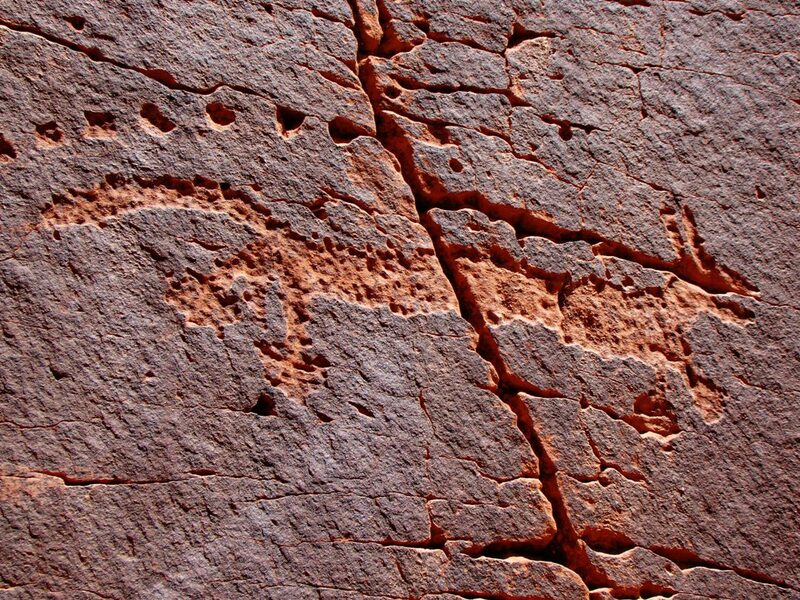 We explored Fremont Indian State Park, a spot that preserved ancient rhyolite caldera ash deposits, and hundreds of Fremont petroglyphs. It is also a spot where we saved a village in order to destroy it. Who knew the hoodoo was in Castle Rock? We discovered a most unusual place to camp, Castle Rock in Fremont Indian State Park. It's a great place to see hoodoos. Having a "Swell" Time on the Reef! We start across the Colorado Plateau by traversing the San Rafael Swell, a huge dome that is one of the largest geologic structures in Utah. The "reef' is a spectacular monocline that forms the eastern edge of the Swell. A Canyon along the Colorado River? Really? 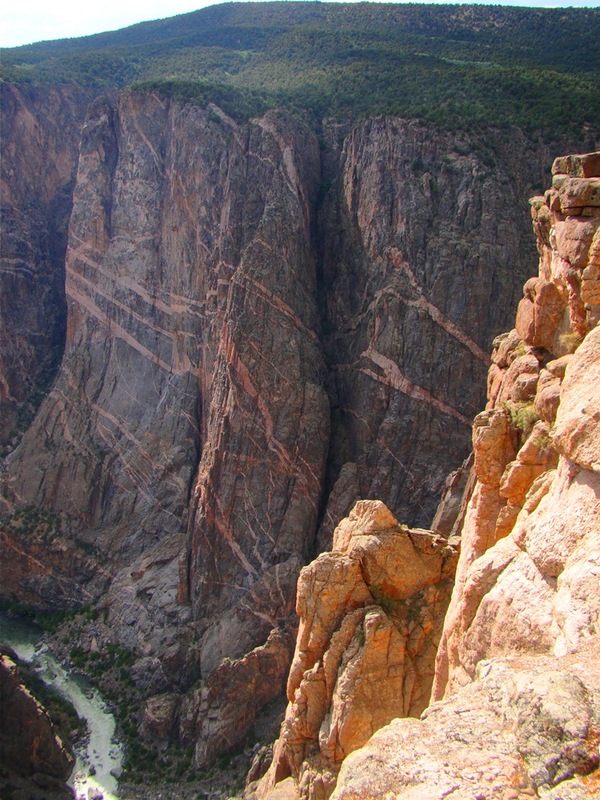 It isn't the Grand Canyon, it's Glenwood Canyon in Colorado, and it is rather spectacular. It is a critical transportion corridor for crossing the Rocky Mountain, but the engineers tried to preserve as much of the environment as they could. A Moment of Pure Magic: The next day we reached Rocky Mountain National Park, the only actual stated goal of our trip. 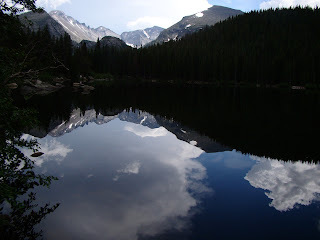 We spent the afternoon exploring the Bear Lake area and had a series of stunning vistas from reflections on the absolutely still lake (the photo at the top of the page is my favorite). A Day of Black and White in the Rocky Mountains: We get hit by the first of several fierce storms in the Rockies, in this instance while walking around Sprague Lake. It was a wet couple of days for everyone across the region (there were even a few rainfall total records set). In the Former Realm of Glaciers: We take a delightful hike to Nymph and Dream Lakes, and take in a variety of glacial features and some of the oldest rocks to be found anywhere in the American West. And then we got hit with an even worse storm than the day before! In the Former Realm of Glaciers...Part II, on Trail Ridge: We turn towards home and cross the Continental Divide by way of Trail Ridge. We find the headwaters of the Colorado River, and an ominous dead forest. The Birth of the Colorado River and Arboreal Apocalypse: Exploring the headwaters of the Colorado River in Kawuneeche Valley and the Never Summer Range. A river is flooding in front of us, and the forest is dying behind us. Coke, Ancient Ice, and the Tomb of the Unknown Soldier: Heading home through central Colorado. See if you can figure out what this title means! A Little Mystery on the North Rim: And that is what this short post is; a mystery question. A Canyon Where Cameras Stand Sideways: Black Canyon of the Gunnison in western Colorado is one of the most rugged 9and scenic) places a person can imagine. In some places it is deeper than it is wide. It exposes some of the Proterozoic crustal rocks that are not all that easy to find in this part of the country. A Problem With Vagabonding: Yellow Line Fever We follow a long, lonely highway through the Paradox Valley, and find the town of Bedrock. Fred and Wilma weren't home...and then we were in Utah! Sun and Rock in Arches National Park: A hot day and a beautiful evening in Arches National Park. Sun (and Moon) and Rock Revisited in Arches National Park We spend a morning exploring one of the most beautiful national parks in the world. And it's not just arches to be seen there. 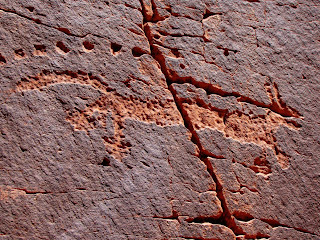 Whispers of the Past in Stone: The story of past beings is told in stone in a couple of ways...on this day we saw two of them: petroglyphs and footprints. And a murder of crows. A Magical Evening in the Mesozoic: A late evening exploration of Capitol Reef National Park, which protects a giant monocline, the Waterpocket Fold. Crossing Through the Escalante River Country: We follow Highway 12 through what once was one of the most isolated and rugged corners of the country. It's still a challenging landscape and spectacular drive. A Hoodoo Homily in Three Parts: We explore parts of Bryce Canyon we've never seen before, and at times we've never been there. In part one we check out the southern end of the park. 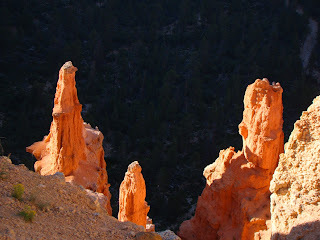 Hoodoo Homily, A Land of Glowing Rocks: Bryce Canyon without the summer crowds. How did we do it? We got up early! And the rocks were glowing, too. A Hoodoo Homily Postscript: Red Canyon There is another aspect of the Claron Formation that one doesn't see in Bryce Canyon National Park. We explore Red Canyon in the Sevier River country. A Heavenly Canyon of Sand - Mukuntuweap: We arrive in Zion National Park on a scorching hot day. Where do you go? The Narrows of the Virgin River. A Bit of Mukuntuweap in the Morning (it was one in a trillion): The impending ending of our journey gets me thinking about time and mortality. We explore Zion National Park in the early morning. 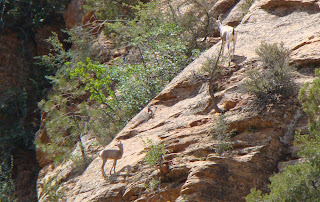 Playing "Where's Waldo" with Bighorn Sheep in Zion National Park: An earlier post about our discovery of a herd of bighorn sheep near the Zion Tunnel. Leaving Behind the Colorado Plateau (almost): Zion National Park has a higher and more verdant section: the Kolob Canyons. We take a look before setting out across the Basin and Range Province. Would the aliens get us??? More Hooved Animals on the Road...and a Quick Quiz Question Another earlier post about the herd of wild horses we saw near Tonopah, Nevada. The answer to the quiz question can be found here. Clicking My Heels, Because.... well, there's no place like home. At all. 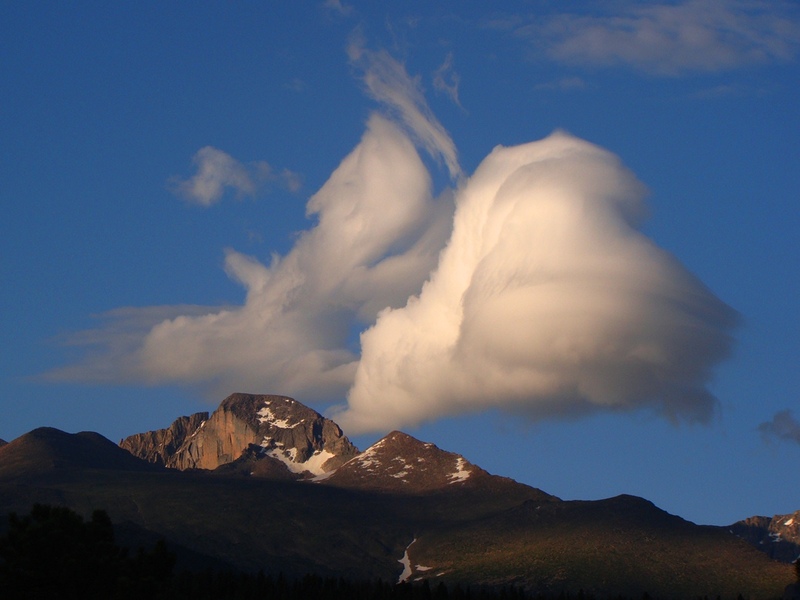 No matter where you go, the geological story will be different. We cross the last great barrier between we, the vagabonds, and our home in the Central Valley. And the Sierra Nevada is a beautiful mountain range, even after all the wonders of our journey across the 39th.